You are here: Home / Blog / The Mountaineers Climb the Hill in Washington D.C. 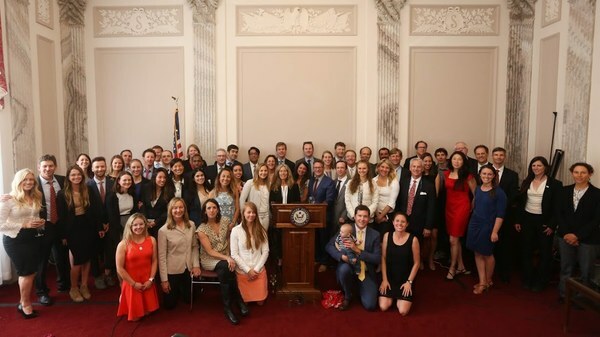 The Mountaineers joined partners and professional climbers from across the nation to champion our public lands at the third annual Climb the Hill event in Washington D.C. Each year, we unite as one climbing community to talk with our nation's leaders about the power of public lands. The climbing community came out in force under the mantra “United We Climb". 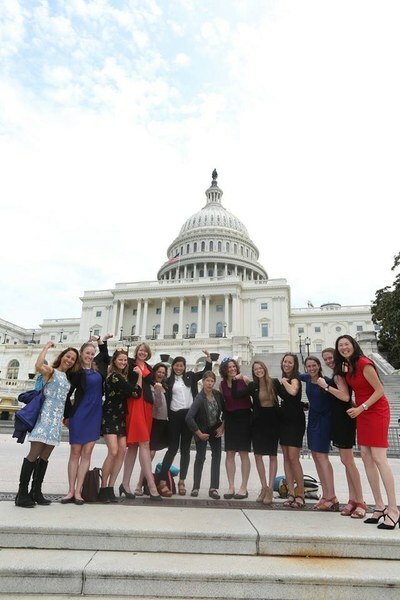 Participants included our partners at the Access Fund, American Alpine Club, and Outdoor Alliance, athletes Alex Honnold, Sasha DiGiulian, and Tommy Caldwell, and other nonprofit organizations Brothers of Climbing, Brown Girls Climb, and Latino Outdoors. 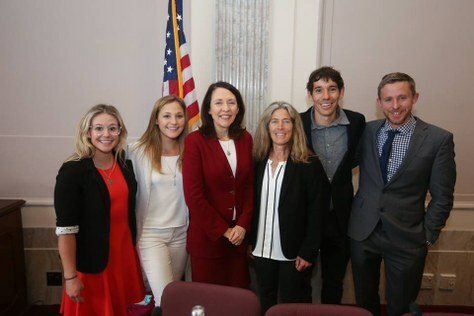 Over the course of a single day, climbers held 63 meetings with Congressional representatives, policymakers, and top land management administrators. The event culminated with a senate reception - filled to the brim with standing-room only. Washington state’s own Senator Cantwell keynoted, highlighting the importance of the recreation economy to protecting public lands. Advocacy efforts like Climb the Hill amplify the collective voice of recreationists, so that lawmakers know public lands matter to their constituents. This work is key to protecting our peaks and crags – and keeping them accessible to the climbing community. 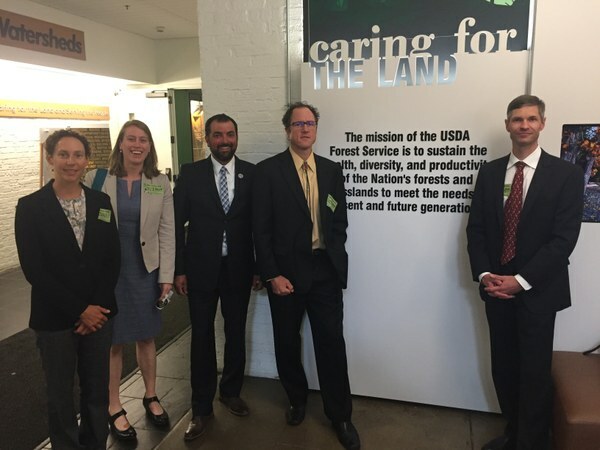 The Mountaineers’s Director of Conservation & Advocacy Katherine Hollis led a team on facilitated access, meeting with lawmakers, the Forest Service, and the Park Service. The team discussed the vital role group instruction plays in teaching people how to get outside safely and responsibly. Currently, bureaucratic permitting requirements can create significant barriers for groups (like The Mountaineers, Outward Bound, or guide services) that take people out on public lands. Katherine Hollis and members of the guiding community meet with The US Forest Service Deputy Chief. Photo: Stephen Gosling. Facilitated access helps connect people to wild places, which in turn inspires new outdoor advocates – a critical component to protecting public lands. Facilitated access also helps improve diversity, equity, and inclusion in the outdoors. As it stands now, programs dedicated to providing outdoor experiences for low-income and underrepresented communities face a variety of permitting challenges. The Mountaineers have supported improving facilitated access for years. At Climb the Hill, we built on the progress we’ve made and advocated for exciting next steps, including legislation like the Recreation Not Red Tape Act. We joined the Access Fund and American Alpine Club, and other partners including Outdoor Alliance, the American Mountain Guides Association, and the Mazamas, to bring PNW climbing to national public lands policy in Washington D.C.
To learn more about this special day dedicated to our public lands, check out these additional resources. To get involved in any of our conservation and advocacy priorities, please check out our Legislative Trail Map. The women of Climb the Hill. Photo: PHOTO: STEPHEN GOSLING. 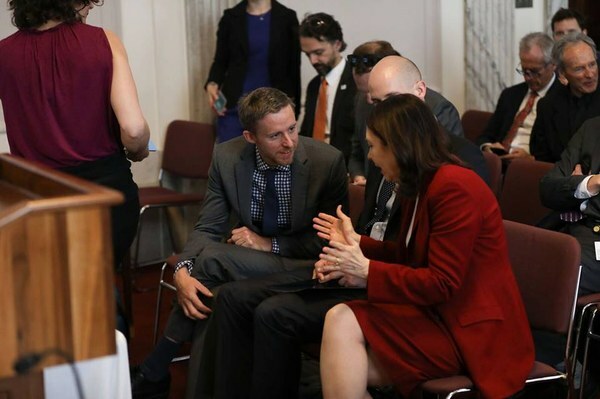 Tommy Caldwell chats with Senator Cantwell of Washington State. PHOTO: STEPHEN GOSLING.